We can add this to the list of all the things going wrong in October. 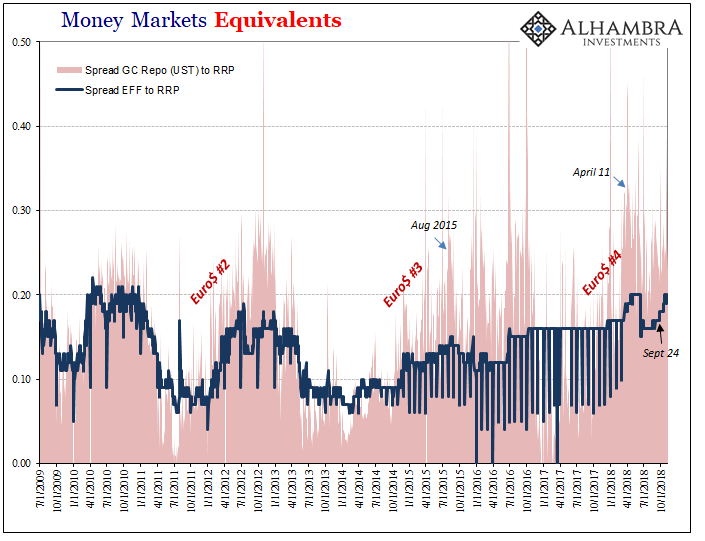 If it felt like a wave of renewed deflation built up and swept over markets and the global economy, it’s because that’s just what had happened. I don’t think it random coincidence the WTI curve went contango and oil prices globally crashed when they did. Golden Weeks in China are always interesting, especially on the reopen. There are two facts as they pertain to China in 2018. The first is the nation’s clear monetary trouble. The second is why it has (re)emerged. The statistics for the first part were pretty grim last month, accounting for much of why October was such a major global mess. The People’s Bank of China has been forced into cutting back on monetary growth in base measures all year. 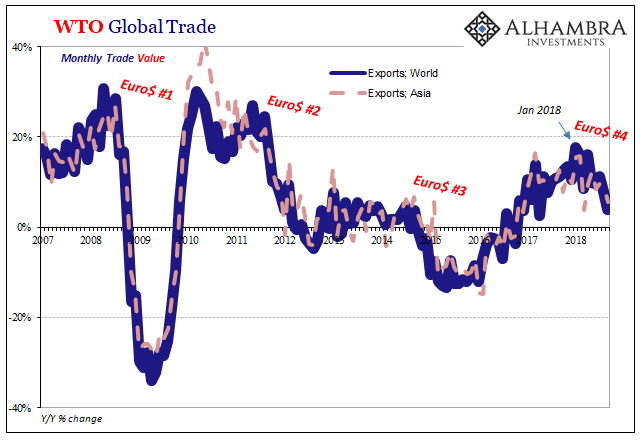 This all changed in January, the same time the global economy began to come crashing back down from its low-level reflation in 2017. 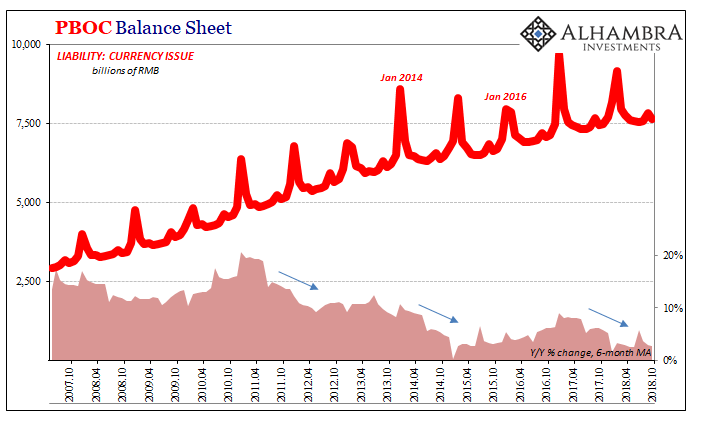 Without foreign assets, eurodollars, flowing onto its balance sheet on the asset side the central bank can only restrict growth on the money (liability) side. 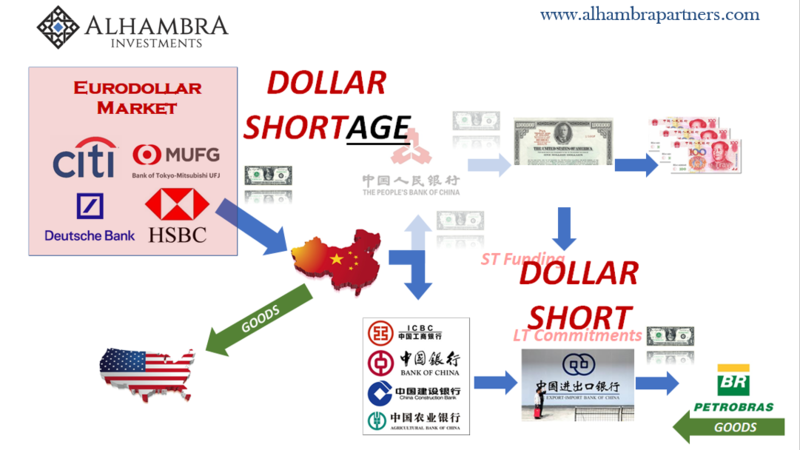 Factoring the cash needs for the central government, the result has been an increasing squeeze on the RMB base. This includes, ominously, actual cash in circulation. In October, currency issue expanded by just 2.6% year-over-year. That brings the 6-month average down to 2.7%, which is the lowest average (not counting New Year January/February distortions) in all of the published PBOC data. They’ve just about turned off the literal printing press in China. Both parts have since been shown to be true; facts. 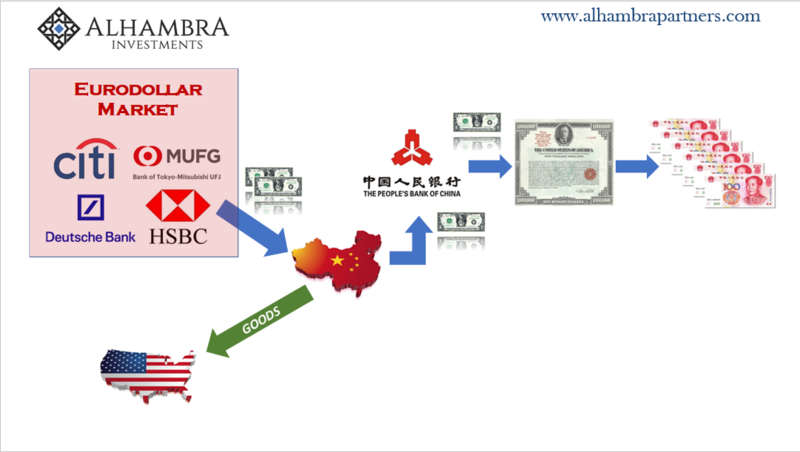 China expended more “foreign reserves” than they had been in trying to support CNY. That caused contraction on the PBOC’s asset side, now confirmed by that institution. The net result was both the lowest currency growth on record (above) as well as a huge contraction in bank reserves (below). We haven’t seen anything like this since the darkest days of 2015-16. Deposits of Other Depository Corporations, the technical liability of the PBOC that counts as RMB bank reserves, crashed by 7.9% year-over-year in October. Unlike the January-February New Year holidays, the October Golden Week doesn’t move up and down the calendar, meaning that the numbers presented here are all apples to apples. These are no statistical flukes. This fills out the picture of October’s liquidations inside as well as outside of China. It is most certainly a deflationary squeeze, and one whose origin we know too well. 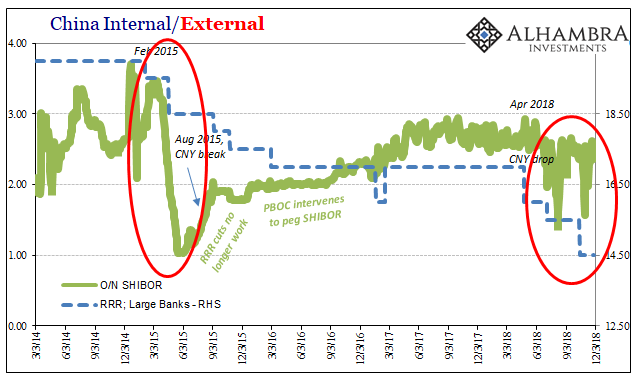 The only positive we can take from the PBOC’s participation is how it gives us a very good sense of what is going on in the global currency shadows. This is one of the few major statistics that shed light on what is otherwise almost totally hidden. And you needn’t possess any advanced training in derivatives, wholesale funding, or cross border flow accounting to understand what’s going on here. It isn’t debatable, nor is there any ambiguity. 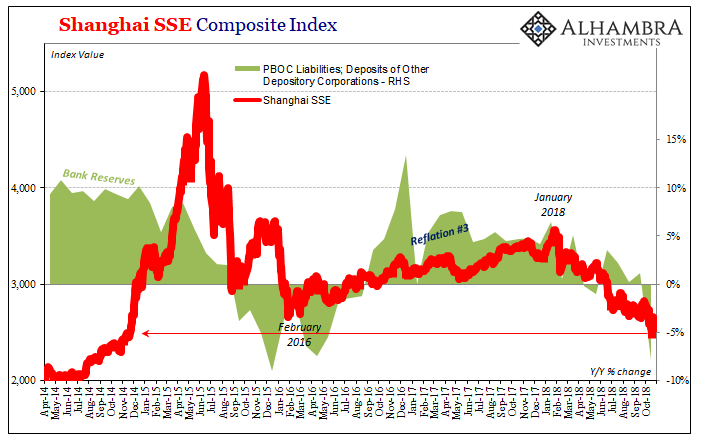 China has a huge monetary problem on its hands, and one that is denominated in dollars but often has nothing whatsoever to do with the United States except for that one quirk. This problem is growing, giving us a good sense of why things have turned and why they might not be done moving in the wrong direction. Not in some unique fashion but under the same kind of disruptive influence we’ve seen three times already in the last ten years.  It is the combination of those two things which has left us with one lost decade and beginning a second staring into yet another downturn. 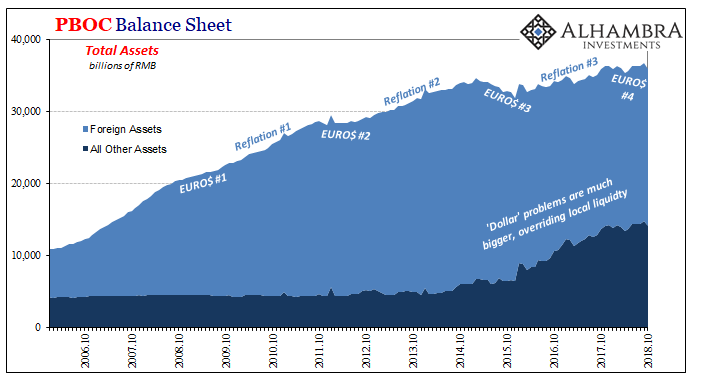 The world needs (euro)dollars (short) but the global banking system no longer produces them in sufficient quantity (shortage). So long as both parts remain true, false dawn reflations are the best we are going to see. 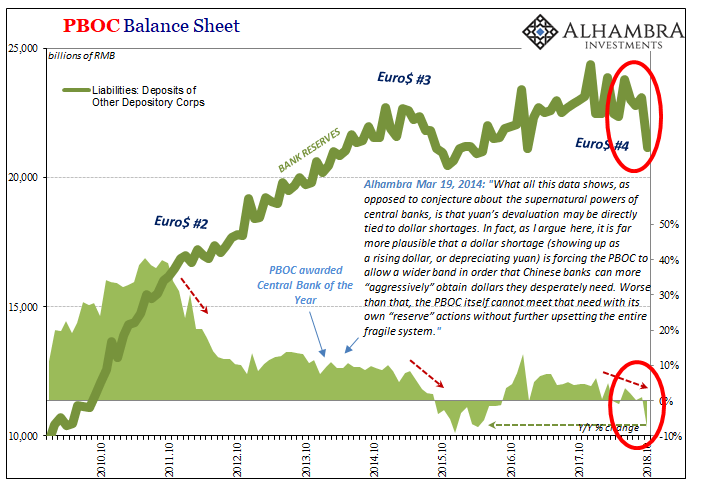 The Communist Chinese have been kind enough to prove these assertions through nothing more than simple balance sheet, monetary accounting. The big downside, of course, is the entire global economy bears the brunt of what those numbers show. Again.